Recording voice,meetings, personal notes, lecture and many more in HD quality was never that easy and fun with Titanium recorder and with no limit!. Please not that Titanium Recorder cannot record phone calls on most phones. Also the call recording feature has been disable on android 4.3 and above. 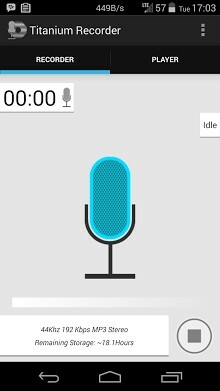 Record audio – Record audio from your microphone. Modify system settings – To set ringtones. 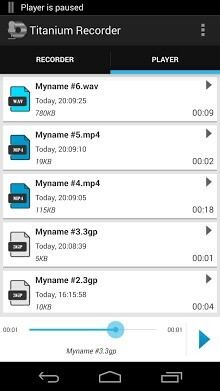 Write to external storage – To save recordings in your external storage. Prevent phone from sleeping -Allow recordings to continue even with the screen turned off.